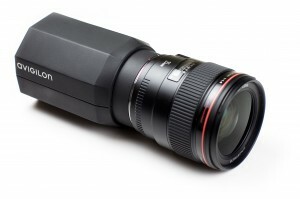 Image quality, how important will this be in 2012? We have said for a long time here at integrated CCTV that image quality and HD in particular will be the most important selling point for CCTV in the coming years. 2012 though will be a particularly important year for HD and how better picture quality will be implemented into CCTV systems. In particular anyone upgrading this year will be looking for exceptional value for money, HD and megapixel can certainly offer this. It is with interest then that we read the findings of the recent IMS white paper and view with interest that they see re-focusing on image quality as very important in 2012. Below we look at what they say on the subject. IMS focus on image quality. The IMS forecasts that by 2015 more than 70% of all network cameras will be of a megapixel resolution. Perhaps the most important thing though is that most industry professionals are suggesting that HD quality will be enough. This is probably linked to the public’s knowledge of HD and how they perceive HD picture quality. Of course there will always be a requirement in certain situations for more pixels and Avigilon have proved this with their 16 megapixel HD Pro camera, however we believe that for mainstream CCTV systems the desire for HD quality will suffice. As the IMS have identified and something in the industry we all know is that end users want two things above all else. 1) to be able to read a number plate and 2) be able to recognise a face. Almost every break in I have attended has always culminated in the complaint that “they can’t read the number plate or see the face so what use is this CCTV system to me” ?? ?..Of course they are right, CCTV has been repeatedly mis-sold over a number of years sometimes innocently of course sometimes with less care. However it does a job and does prevent crime, its just with HD technology now on the market it will actually do an excellent job. With HD though comes lighting issues when used outside, LED lighting manufacturers could find that as CCTV needs higher definition then their sales will increase accordingly. Raytec have the market share at present but watch out for some excellent development in lighting from some less well known names. 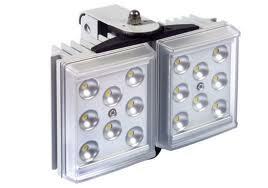 Efficient, directional and atheistic lighting solutions will benefit from the rise in sales of HD CCTV solutions. Will HD be delivered over cat5 or coax? Finally of course there is a raging argument at present as to whether HD CCTV will be delivered via an IP solution or HDcctv solution. The difference for those still in the dark is IP solutions are pure IP over cat5 where as HDcctv is delivered over coax i.e. point to point. HD using IP is well established and there is no reason to see this decline especially with new build projects. However there are certain market places that will seriously benefit from HDcctv over coax. A combination of recession, a mature market bordering on saturation, may help HDcctv over coax take the lions share of HD upgrades in the UK. That assumes of course that manufacturers really think there is mileage in this. This will be proven if we see some of the main players producing HDcctv products in the next 12 months. This entry was posted on Wednesday, January 4th, 2012 at 01:00	and is filed under HDCCTV. You can follow any responses to this entry through the RSS 2.0 feed. Both comments and pings are currently closed. Good analysis of the IMS Research forecast. You’re right about the overall trend toward HD. The question isn’t coax or Cat-5, because HD can be sent over either medium as Ethernet or HDcctv signals. The architectural issue for enterprise-class systems is, should the conversion to IP take place in the camera or, perhaps, at another place in the system, such as a DVR? For smaller systems not requiring IP transport to do its job, why convert video to IP at all? HDcctv promises to accelerate the market transition to HD, especially when HDcctv total equipment cost approaches SD CCTV total cost. That could start to happen next year. In that case, as a function of their retrospective assessment method, IMS might not see the sea level change until 2015. The fact that IMS identify HDcctv as a significant trend already in 2011 is remarkable.